the newest DCI Tour events sceduled for 2013. 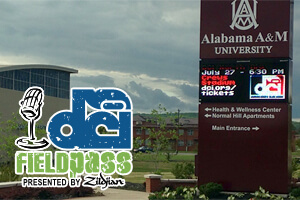 DCI's "Field Pass" podcast presented by Zildjian is back to cover another season of Marching Music's Major League. To kick off the summer, host Dan Potter chats with DCI Executive Director Dan Acheson to find out what's in store for the 2013 DCI Tour that will get underway in just a few short weeks.